I was watching the news another day where a Winnipeger mother in our community who lost her son for Mental Illness was promoting a change in Manitoba’s mental health system. And I do agree with her, we must do all the necessary changes to offer the best attention we can and create better protocols to take quick action when is needed.These patients suffer deeply inside and most of the time in total silence.They feel alone and ashamed to talk about their illness. And that is my goal with TCM and acupuncture is to offer them a choice of better quality of life, to achieve less emotional pain and less fear so they can conquer their goals. According to the Mood Disorders Association over 300,000 Manitobans suffer from some form of mental illness. And I wish patients knew how much acupuncture can change these numbers. Anxiety is a matter that became very frequent in my practice. It is basically when a person experiences a highly stressful or threatening situation, and her/ his mind fail to develop ways of coping. I believe many of us had moments in life where we felt anxious, the problem is when these anxious moments become part of your “self” and this “self” will make choices that you might not like later on, the fear diminishes the chances to grow and feel happy. That is why anxiety does not help and it is extremely debilitating in some cases. 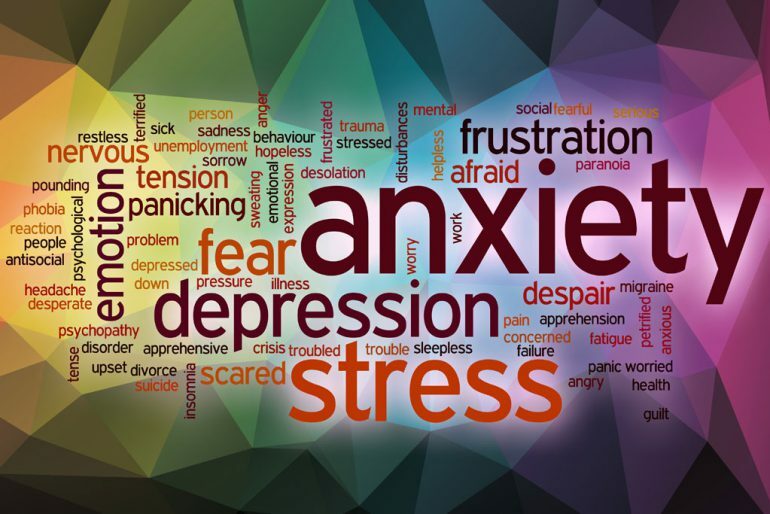 If your physician is treating you for anxiety think that acupuncture can be an excellent complimentary therapy for: generalized anxiety disorder (GAD), panic disorder,social anxiety disorder ,post-traumatic stress disorder (PTSD), obsessive-compulsive disorder (OCD). Acupuncture has been shown to be capable of changing the ‘default mode network’ (Dhond 2007), but the effect goes beyond that of expectation/placebo (Hui 2010). I have experience in treating mental illness, I received cases from The Psychiatry Depart back in Brazil and in Canada and some of them were suicidal attempts that did not responded to conventional therapy and each case that I had chance to treat were able to return to their lives mentally stronger and capable to find their own path.But I advised them to have a regular follow up with their psychiatrists. We have to work together if we want to treat mental illness. And it is important that the patient comes for acupuncture treatments couple of times in a year to keep their results. I feel grateful to have a special training in Psychosomatic disorders and I had chance to learn and work with one of the best Psychosomatic medicine doctors in Brazil, Prof. Dr. Arthur Zular who is President of the Association of Psychosomatic Medicine ( Regional :S.Paulo) and Director of the Multidisciplinary Scientific Committee of Psychosomatic Medicine of the Paulista Medical Association. This knowledge made a big difference is how I approach mental illness patients. I can offer them a treatment that combine the best of TCM with the best Of Western Medicine. Take out the pressure from your heart and your mind, Try Acupuncture. Call Dr.Priscilla Kerr Office at : 204-788-5715 for an appointment.